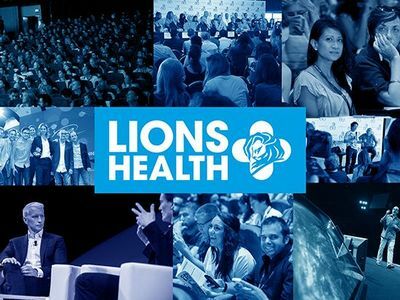 As Cannes Lions gets into full stride this week, what can the contenders learn from the inaugural 2014 Lions Health festival earlier this month? The new festival of healthcare advertising turned out to be a muted celebration of the industry, with no Grand Prix awarded in the Pharma category. But the Health and Wellness category tells a different story. Created by Dentsu, the Grand Prix winner provides a personal accompaniment to one of life’s high points. The Mother Book is not a flashy entry – its intimate, physical format makes it a considerate long-term addition to family life. This is unusual in the digital-led advertising world of 2014, but the book’s strong central feature of growth and its subsequent Grand Prix title has given it a large online fan base. The book will undoubtedly get creative juices flowing all over the world, but whether it really signals the future of healthcare advertising is yet to be seen. And as for next year’s Cannes Lions Health, there’s only one thing we want to see – Pharma advertising upping its game and giving the world a Grand Prix winner.